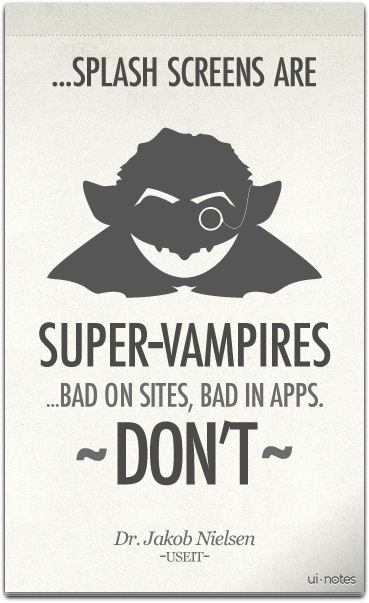 …splash screens are super-vampires that can haunt users from beyond the grave. Several new iPad apps have long introductory segments that might be entertaining the first time, but soon wear out their welcome. Bad on sites, bad in apps. Don’t.